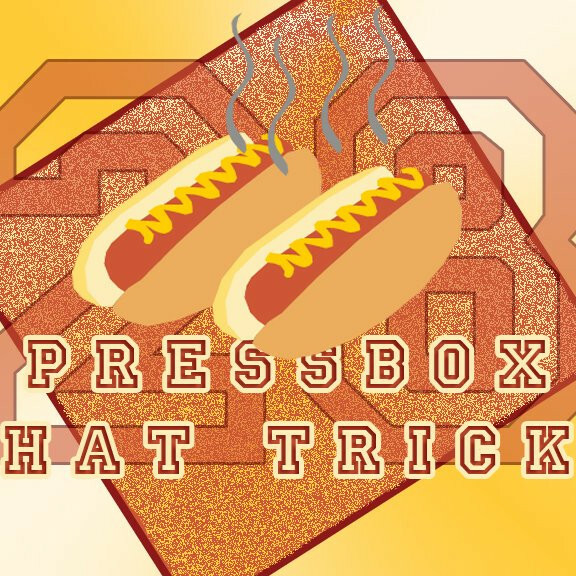 The two types of footballs are on the spotlight for episode 101 of the Pressbox Hat Trick podcast. Up first, Tristan D’Amours and Alex Perez talk to Steven Short, VP of USL Division 3, about the creation of the new league for 2019, the potential spread of the league and if Canada will be implicated. On the back end of the show, the hosts welcome star running back for the Université de Montréal Carabins and 2017 CFL draft pick by the Hamilton Tiger-Cats, Sean Thomas Erlington, to talk about Draft Day, the record number of Carabins players drafted this year, and his challenges ahead. Tristan also celebrates his 100th show as PBHT host…yay!